Peoples Radio 91.6 FM Dhaka Live Streaming Online . Listen Over 50 Bangla Radio stations live Online . It Started broadcasting on December 11, 2011 . 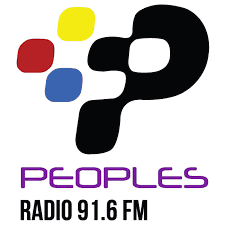 Peoples Radio 91.6 FM is a Dhaka-based 24-hour private FM radio station of Bangladesh . It is a 2nd generation FM station of Bangladesh. Address : 41 Shamsuddin Mansion (5th Floor), Gulshan-2, Dhaka-1212 .